I’ve now made this smoothie a few times and I really love it: the fresh orange juice and the pineapple combine with the greens to make a very delicious drink. The other thing I like about this smoothie is that it has some coconut oil in it. If you are going to drink green smoothies, I always advise adding some fat because fat helps your body to assimilate the calcium in the greens. Coconut oil is a good source of healthy fat, and makes a tasty addition here. Though I haven’t yet had a chance to make more of the recipes from Brassicas, I am very much looking forward to doing so. Author Laura B. Russell does a really nice job of focusing on both the nutritional benefits of these veggies and the cooking methods that allow them to shine. There are chapters on Kale, Cauliflower, Brussels Sprouts and Cabbage, Broccoli, Leafy Brassicas, Asian Brassicas, and Root Brassicas and Kohlrabi; the photographs by Sang An are really beautiful. Also of note: the book addresses the potential downside of consuming too many brassicas raw (there is a concern that doing so can interfere with thyroid function). The upshot (which I discuss in my book , as well): don’t eat loads of uncooked brassicas. This means it’s best not to go overboard with the green smoothies, especially if you have a thyroid problem (honestly: I don’t think it’s a good plan to go overboard with any food, no matter how healthy it’s supposed to be!). There’s nothing to worry about as far as cooked brassicas go, though. So eat those cooked greens, etc. to your heart’s delight. I like to add some protein to all of my smoothies so I did put about 1.5 tablespoons of Great Lakes Gelatin in my smoothie. I like this gelatin because it mixes into both hot and cold drinks without altering the taste or texture. There is 6 grams of protein in each tablespoon of the gelatin...I use about 1-2 tablespoons everyday mixed into my drinks or elsewhere. 1. 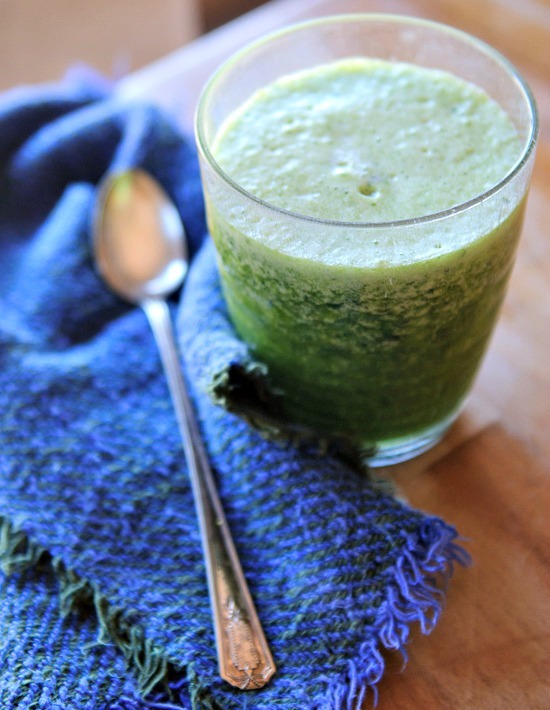 Put the orange juice, kale, spinach, pineapple, agave nectar, and oil in a blender. Puree for 2 to 3 minutes, until the greens are completely liquified. Add more juice or a little water if needed. Add the ice and process until finely chopped. Serve immediately. Variations: Substitute parsley for the spinach, or use a combination of all three greens, to total about 2 1/2 cups. If you like a creamy smoothie, and 1/4 cup coconut milk or a scoop of dairy-free coconut ice cream to the blender along with the greens. 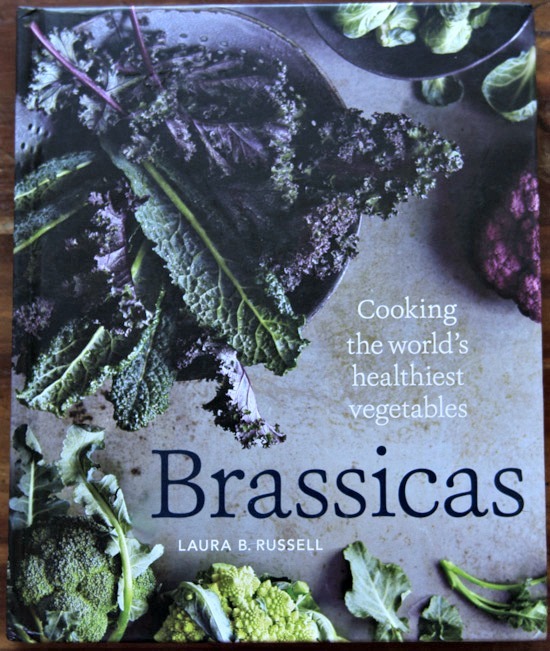 Recipe shared with permission from Brassicas: Cooking the World's Healthiest Vegetables: Kale, Cauliflower, Broccoli, Brussels Sprouts and More by Laura B. Russell. Published by Ten Speed Press, 2014. Disclosure: I received a review copy of Brassicas from the publisher, Ten Speed Press. Links to Amazon.com are affiliate links. When you make a purchase via one of my links, I earn a small commission…thank you. Wouldn’t the coconut oil solidify when it hits the fruit juice? I find that a high speed blender really breaks the coconut oil solids down. Hi, I used to have a kale smoothie every morning for breakfast until I found out that it would interfere with my thyroid medicine. I didn’t know it interfered with thyroid function, though. I would just like to know if having a green smoothie every morning is getting carried away. Thanks for your help. I do think having one every day is a potential issue if you have a thyroid problem. This is delicious! 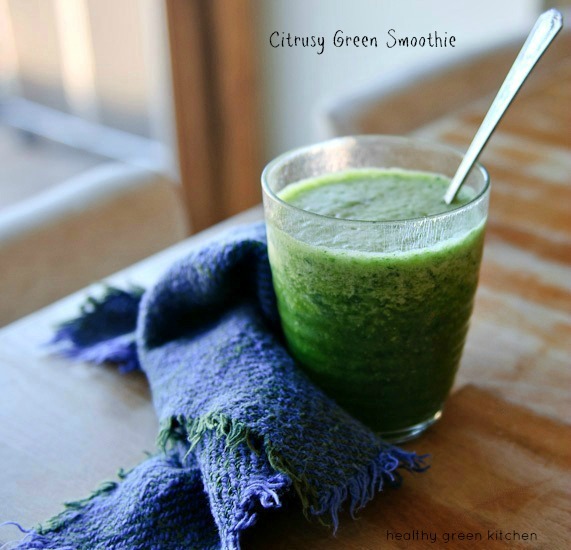 Nice variation on a green smoothie. I added a little fresh ginger, too. Thanks, Winnie! Loved it.